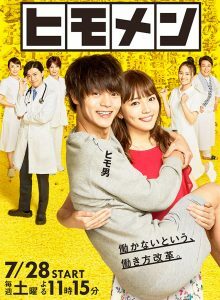 28-year-old Himonya Sho (Kubota Masataka) is passionate about two things in his life: one is to love his girlfriend Kasuga Yuriko (Kawaguchi Haruna) and the other thing is to not work. One day, he gets kicked out of his parents’ home. He moves in with his girlfriend Yuriko. Yuriko is 26-years-old and works as a nurse. 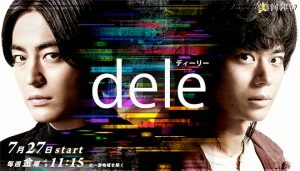 She works hard and struggles to change Sho Himonya. 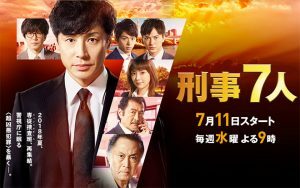 Amagi Yu (Higashiyama Noriyuki) and Katagiri Masatoshi (Yoshida Kotaro) have become subordinate and boss in the Criminal Documents Unit while Mizuta Tamaki (Kurashina Kana) and Aoyama Arata (Tsukamoto Takashi) remain detectives in the Twelfth Section under the instructions of Katagiri. 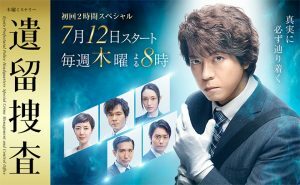 Together with professor of forensic medicine Domoto Shuntaro (Kitaoji Kinya), veteran senior detective Ebisawa Yoshiki in the Twelfth Section and newbie Nonomura Takumi (Shirasu Jin) who is Amagi’s subordinate, the seven of them take on old unsolved cases. Nagatsu Ryoko, who belongs to the Agency for Cultural Affairs, is found dead in the mountain. One month ago, she discovered a Buddha statue at a mountain shrine. Her death seems accidental, caused by Ryoko slipping, but Itomura Satoshi (Kamikawa Takaya) determines that her death was not accidental. It is the year 1997 after the bubble economy burst. 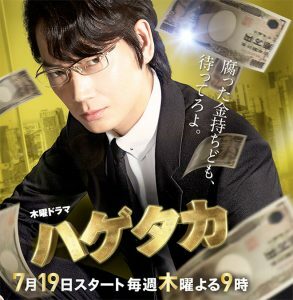 Fund manager Washizu Masahiko (Ayano Go) emerges overnight in Japan which is mired in a lost decade. He is fiercely criticised as a “vulture” for taking over companies, but buys out a series of big banks with non-performing loans and well-known corporations in financial difficulty.